Forty students, faculty, sponsors, and community professionals recently returned from the Kiryandongo Settlement Camp of Uganda where they served this community in need. 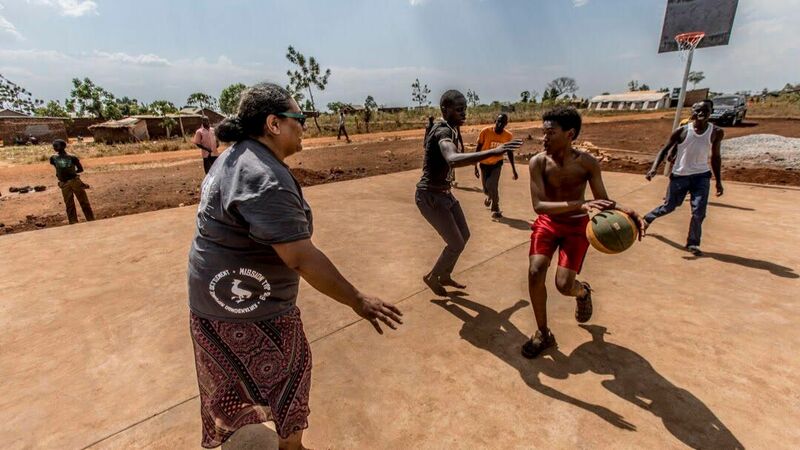 Along with holding medical clinics, Vacation Bible School programs, and educational activities, the group was also planned to build a basketball court the community could enjoy for years to come. An exploratory trip took Kim Busl of Outposts Center International (OCI), and a team from Rolfson Oil to find needs in the community. While there, they discovered that the refugee population of close to 100,000 were using a line court. Since then, Mile High Academy, Outposts Centers International, and Rolfson have been working collaboratively on the basketball court. After completion, both children and adults flocked to the court to enjoy the finished product, including MHA students and faculty, who gathered teams of locals for drills and pick-up games. Even MHA Principal Toakase Vunileva took to the court, joining one of the teams and playing right alongside for an exciting game. It illustrates the comaraderie demonstrated by this mission from the start. Every team member has played an important role, with no job too big or too small. Such is the conclusion of yet another mission involvement of our youth. 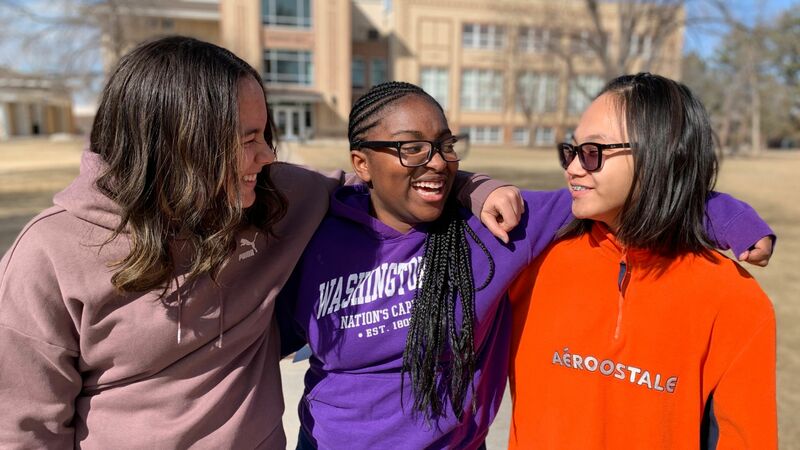 In addition to having fun, students are also given the opportunity to apply for scholarships in multiple areas, including writing, art, music, and service. Robyn Quillin, from Cortez, Colorado, attended last year’s Academy Days and won a scholarship for Christian Service for the volunteer work she had done at nursing homes and through Pathfinders. While she was already planning on attending Campion before the visit, she discovered, “It was a great way to get some scholarship money to help me attend, and it was fun to see all the different activities they have at Campion. It also made it easier to come this year because I got to know other students beforehand.” While some scholarship competitions happen on-site, most need to be applied for by April 4, and can be found on the Academy Days registration home page. Campion Academy provides students with a rigorous academic environment grounded in a biblical worldview. Students not only gain a top-quality education, but are encouraged to grow their faith in Christ in every aspect of academy life. Visit www.campion.net/academy-days for more information or to register. No Break for LM Participants » We don't pause when it comes to sharing God's love. One way we do this is by sharing literature, says Matthew Hasty, new director of Literature Ministries who has six months of work in the RMC under his belt. He has been focusing on four areas of evangelism--GLOW, Campion Academy LM, student fundraisers, and Summer Youth Rush. GLOW, or Giving Light to Our World, is one way every church member can become a minister of literature--taking books, pamphlets, and tracts with you wherever you go and sharing them with people or leaving them in public places. Recently, just west of Denver, a church member gave a GLOW tract to a woman visiting their Community Service Center. After reading the GLOW tract, the woman called the number on the back of the tract and asked for weekly Bible studies. So far in 2019, Hasty has presented GLOW in six churches, and 9000 tracts have been distributed. The Campion Academy LM program is running five days a week this year, with eight students involved. They go door-to-door for a couple hours at a time, offering Christian books and DVDs, Bible studies and prayer. When a Campion Academy staff member went for a dental check-up this year, his dentist said that he had been visited by one of these students. The dentist received the Great Controversy and is really enjoying reading it. As of February, the Campion Academy LMs had left more than $24,000 worth of truth-filled literature in the homes of people in the Loveland area. In February, Hasty visited Lighthouse Christian School for Week of Prayer. The topic was evangelism and ended with an opportunity for a few students to go out into the community for an evangelistic fundraiser. In one hour, three students raised $150 for the school’s building project. Hasty is looking forward to connecting with other elementary schools that would like to raise money while reaching people for Jesus. Preparation for the Summer Youth Rush program has already started. During this 10-week LM program, young people work together, worship together, grow together, and have fun together, all while earning a scholarship for school. The Literature Ministries department is looking for 25 committed young people who want to work for Christ this summer. Applications are available on the Campion Academy website. In Luke chapter 8 Jesus shares the parable of the sower casting his seed. Some seeds fall on the wayside, some on rocky ground, and others among thorns. “Still other seed fell on good soil. It came up and yielded a crop, a hundred times more than was sown” (Luke 8:8). Our truth-filled literature is seed in our communities that leads people to search the Scriptures. Can you imagine one book, pamphlet, or tract yielding a hundred fold! Harvest time is coming. Let’s sow some seeds! 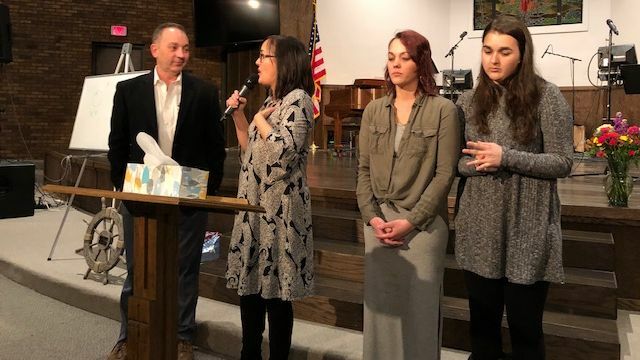 Lee Lee Dart Commissioned in Heartwarming Ceremony » On a clear day in Greeley with nearly 150 in attendance, including area pastors and family members, Lee Lee Dart was commissioned to the gospel ministry during a heart-warming ceremony. The only female senior pastor in the Rocky Mountain Conference, Dart has ministered to The Adventure Church since 2011, later moving to the positiion of senior pastor. She previously worked with Pastor Dave Kennedy at the Franktown Church before moving to The Adventure Church to serve as assistant pastor. Head elder Daryl Bohlender, praised Dart as a “good match” for what The Adventure Church needs in a senior pastor during his welcome. Dart has been active in ministry her entire life, serving as a layperson and Bible worker, mentoring, discipling, empowering and encouraging laypeople to use their spiritual gifts. She grew up in a home where her parents pointed her to Jesus. Her father, Ed Fry, Sr., who gave the benediction, had wanted to be a pastor earlier in life, but was never able to fulfill that calling. In Lee Lee, Fry sees the fruition of his own dreams. Dart’s brother, an employment recruiter for a variety of entities, presented the commissioning address, sharing stories that brought laughter and warmth to the service. Mid-American Union ministerial director, Mic Thurber and RMC president Ed Barnett, participated in the commissioning. Dart, along with her husband, Jed, and two daughters stood together on the platform as she expressed her appreciation for her family and their support. Vista Ridge Academy Receives STEM Grant » Big changes in technology happened at Vista Ridge Academy for the 2018-2019 school year. Students, faculty and staff were thrilled to learn that the school was awarded a generous STEM grant of $10,000 from Versacare. It is the purpose of Versacare, Inc. to serve humanity by engaging in activities that will further the kingdom of God and restore the Image of God in man. Through the Versafund, the non-profit foundation has funded $25 million in grants since 1990. Along with other private donations and parents’ support, the school was able to raise additional funds to make improvements to the school’s technology. The school’s biggest need was the computer lab that had not been updated in more than seven years. There were obsolete desktop computers and analog LCD screens. Thanks to the input from faculty, staff, students and parents, the school replaced the desktop computers with 20 new laptops stored in a secured charging cart. This decision allowed for increased use of these new laptops outside of computer lab time. 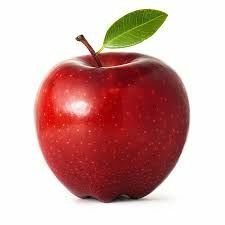 Teachers are able to bring laptops to their classrooms and students can utilize them more for various projects and tasks. 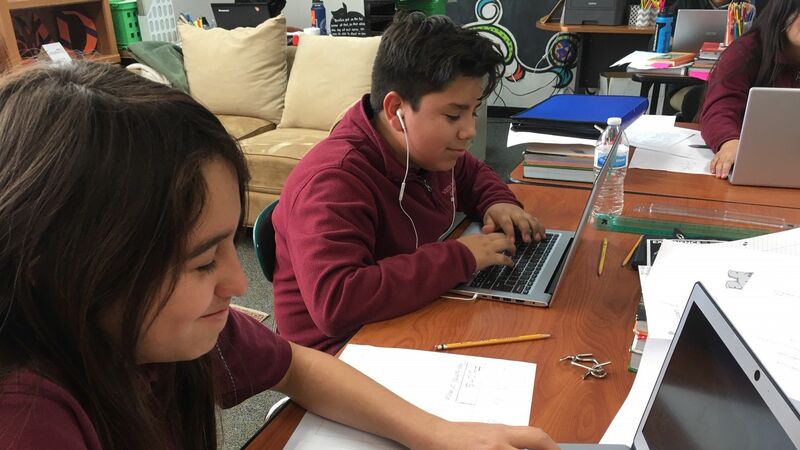 The school has been piloting a 1 to 1 program, centering on individual student's scholastics in the 7th and 8th grade classroom this school year. VRA recognizes that older students rely more on technology for all their learning needs, thus 10 budget laptops were purchased for students in grades 7 and 8. Other technology upgrades in the school include new flat-screen TVs in each classroom, tablets and Apple TVs placed in the classrooms, new laptops for teachers and desktop computers for staff. The school looks forward to partnering with Versacare in the future, https://versacare.org/recent-grants/stem/. 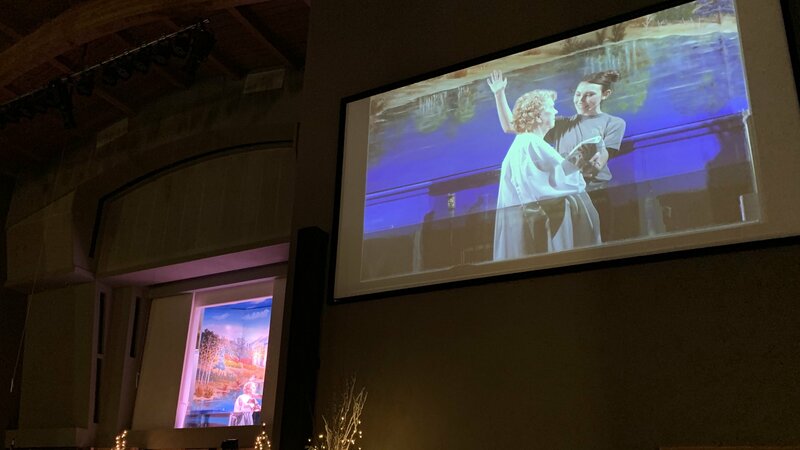 Grandmother/Great-Grandmother Baptized in Boulder » In the fall, I received a phone call from Dorothy, remembers Jessyka Dooley, former associate pastor for Boulder Church, now assistant youth director for RMC. Although she lives in Washington, she visits Colorado frequently to see her grand and great-granddaughters, members at the Boulder Church. So, it was extremely special for her to profess her faith through baptism surrounded by the people she loves most. She was baptized on Sabbath, March 9, in Boulder. "When she came up from the water, there was sheer joy on her face and a glow you couldn't deny," Jessyka added. Franktown Church » Come, hear the captivating story of how God worked to transform one young man's life and how He can transform your life as well. Madman to Missionary, The Testimony of John Baxter will be shared at the Franktown Church at 7 p.m., Friday evening, March 15. The church is located at 905 CO-83, Franktown,CO 80116. Global Youth Day » This Saturday, March 16, is Global Youth Day! The Youth Department is extremely excited to be participating in this worldwide, General Conference initiative. Special Guest, John Baxter » Denver South Church welcomes John Baxter from Adventist Frontier Missions, coming to Denver for a fun-filled Sabbath evening vespers program at 4 p.m. on March 16. A former missionary to India, he currently serves as a recruiter for AFM. Current Denver South pastor, Christian Martin, served as a student missionary with John in 1996. Come and be inspired as John speaks on the value of memorizing Scripture and shares amazing stories from his experience in India. Bring your whole family and all your friends to test your Bible knowledge and then stay for our crock-pot dinner right after! Children's Ministries Training » Children's Ministries training and certification, offered in English and Spanish, will take place March 15-16 at Westminster Hispanic Church. Friday's meeting runs from 7 - 8:45 p.m.; Saturday's training runs from 9:30 a.m. to 4:30 p.m.
Norma Rocio Rojas is the guest speaker for the English class. Ana Maria Benzaquen is the guest speaker for the Spanish class. Both are official trainers from the North American Division of Children's Ministries. Register at https://www.rmcsda.org/childrens-ministries. Registration deadline is March 9. For more information, email Patty Rivera at [email protected] The church is located at 7979 Meade Street, Westminster CO 80030. Littleton Church » Financial Peace University is coming to Littleton Adventist Church. Whether you're just starting out financially or money issues are weighing you down, or you are winning with money and want to do better, FPU is for everyone! We learn that by handling money God's way according to biblical principles, HOPE and PEACE are available for all of us. Vacation Bible School Training » A free VBS training will take place on March 16 at Westminster Hispanic Church from 5-6:30 p.m. Jamit Kingdom will give kids the opportunity to have fun exploring an African savanna while making friends and learning how we are all part of God's big family. Register by visiting https://www.rmcsda.org/childrens-ministries. Westminster Hispanic Church is located at 7979 Meade Street, Westminster 80030. 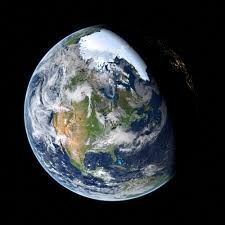 "Imagine what seven billion humans could accomplish if we all loved and respected each other: Imagine.